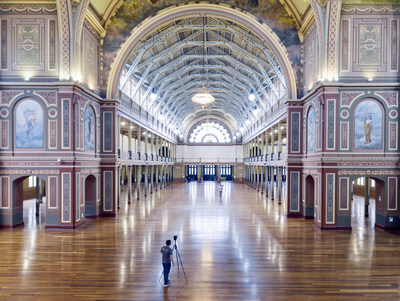 MELBOURNE, Australia, May 31, 2018 /PRNewswire/ -- Completed in 1880 to mark Melbourne's first international exhibition, the Royal Exhibition Building is one of the world's oldest remaining exhibition pavilions. It was the site of Australia's first Federal parliament in 1901, hosted events for the 1956 Summer Olympics, and was the first site to fly the new Australian National Flag following a six-day, national flag design competition in 1901. In 2004, the Royal Exhibition Building and the surrounding Carlton Gardens became the first building in Australia granted listing as a World Heritage Site by UNESCO.